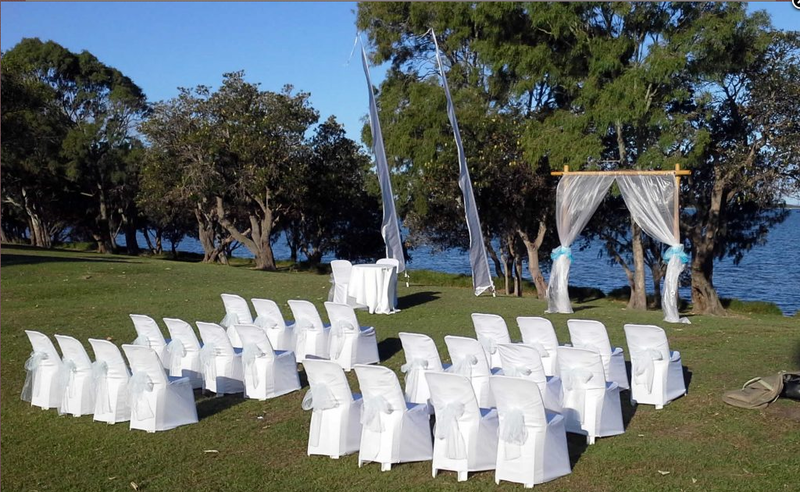 At Bribie Hire Shop we have an extensive range of hire equipment for parties, events and weddings. From the intimate barbeque, large community event or wedding, no matter the size, we can help you make your event successful. If need an extra BBQ, esky, heater or crockery for that family function? We can help. Community fund-raiser or large event, we can provide marquees of all sizes, portable toilets, tables, chairs and catering equipment including bain maries, deep fryers, tea urns, and much more. We are constantly adding to our range of party and event hire equipment to help you make your event that little extra special. We now have a range of Bali flags to brighten your event. Chairs, tables, Bali flags and marquees are available to hire. Call us on 3408 1484 to discuss your seating and equipment needs for your wedding or special occasion.